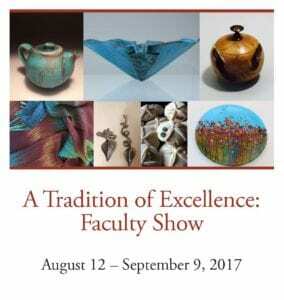 The Brookfield Craft Center is proud to host A Tradition of Excellence: Works by the Brookfield Craft Center Faculty from August 12 through September 9. This unique exhibition opened in the Lynn Tendler Bignell Gallery with a well-received reception on Saturday, August 12. 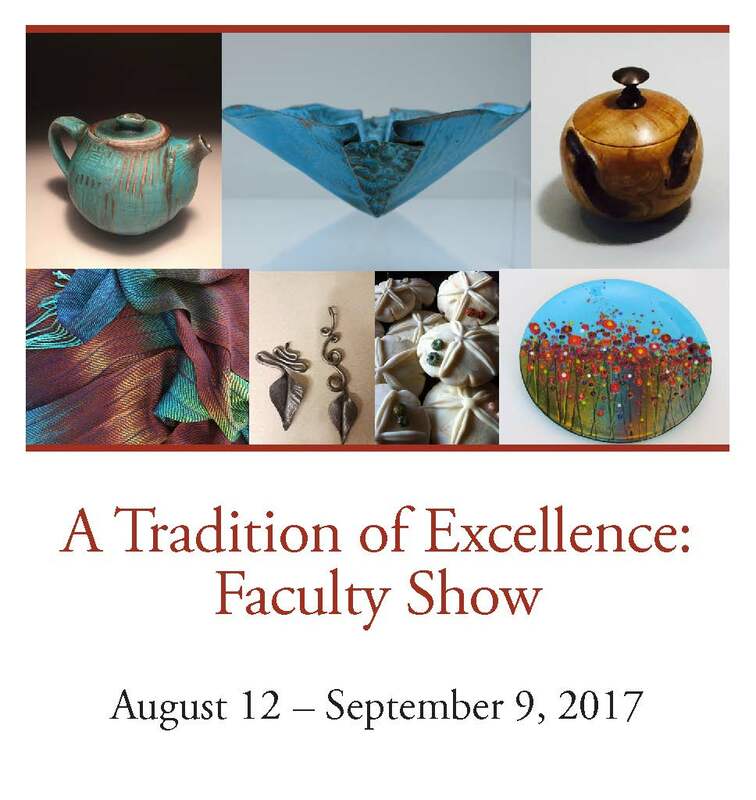 Brookfield Craft Center is delighted to bring A Tradition of Excellence: Faculty Show, to our Lynn Tendler Bignell Gallery. The exhibit began with an opening reception on Saturday, August 12 from 5-8 PM and will run through Saturday, September 10. Work from over 25 of Brookfield Craft Center’s talented faculty representing all seven teaching studios will be displayed. This includes work in Wood, Glass, Fiber, Ceramic, Metal as well as Paintings. The regular Gallery and Gallery Shop hours are Tuesday – Friday 12 – 5 PM, Saturday 11am – 5 PM, Sunday 12 – 4 PM, or by appointment.